One of the most beautiful times of the year is during Las Posadas when Latino family and friends come together to celebrate the birth of Jesus Christ. Las Posadas are celebrated throughout Mexico and Central America and with it comes delicious traditional cuisine. As a child, I have vivid memories of the music, songs, colors and throngs of people who would line in procession behind Mother Mary, Joseph, and others reproducing the scene of the couple looking for shelter in Bethlehem. “Las Posadas” means “lodging.” In Mexico and in parts of the United States, the reenactments take place over nine days, to signify the nine months of pregnancy, between December 16 through the 24 (Noche Buena). The participants go from house to house (typically predetermined) and sing songs in Spanish, asking to be let in. The nighltly events are like a nine-day feeding frenzy of some of the best Mexican or Latin cuisine. When the travelers are finally let in each night, they gather around the nativity to pray before sharing in a feast of traditional dishes like tamales, chicken mole, pozole, and menudo. Chile Verde Pork Tamales — The holidays are synonymous with tamales in most Latin households, and a favorite dish of Mexico. The truth is that everyone has their treasured family recipe. 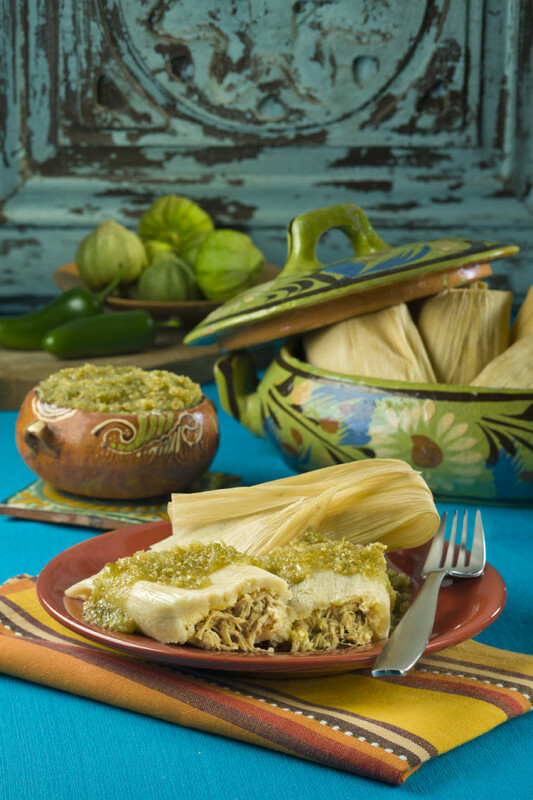 In a pinch, we can flavor our tamales with Herdez Tomatillo Verde Cooking Sauce. 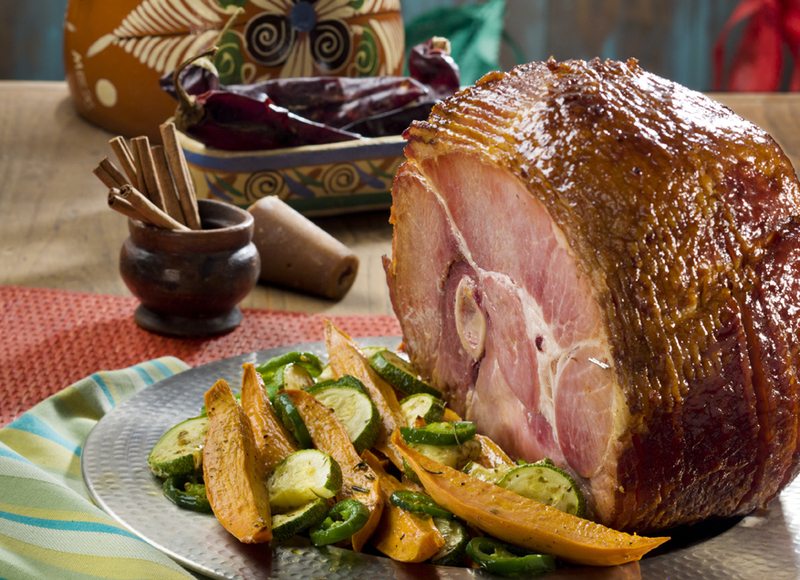 Chipotle and Piloncillo Glazed Ham — Piloncillo is a special Mexican pure brown sugar pressed into a cone shape that makes this glazed ham recipe irresistibly tender. Combined with the low heat of smoky chipotle peppers, it is sweeter and bolder than any traditional honey glazed ham recipe. Oaxacan Pollo Almendrado(chicken in almond sauce) — The genius for this sauce comes from Oaxaca, a city located about 300 miles south of Mexico City. 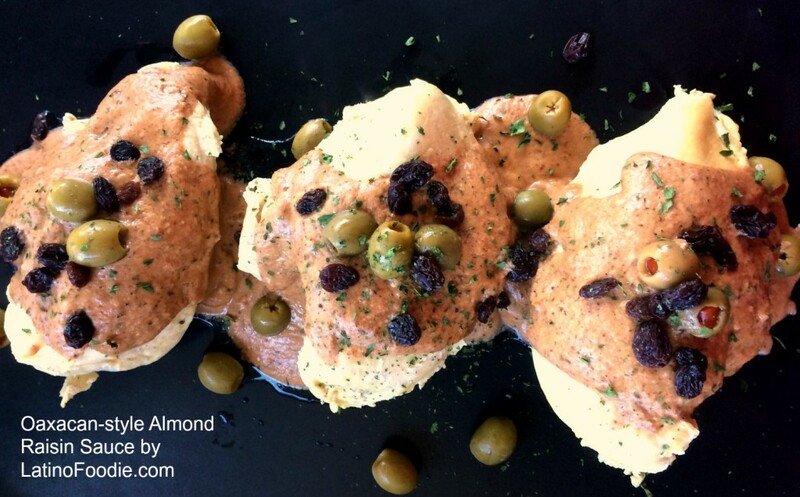 The almond “nutty” flavor definitely dominates this sauce, but you also taste sweetness from the pureed California raisins. I love how the notes of cinnamon and cloves warm the mixture and give a nod to Mexico’s marriage with foods from Arab and Spanish influences. The creaminess comes from the plantains, almonds and chicken broth. 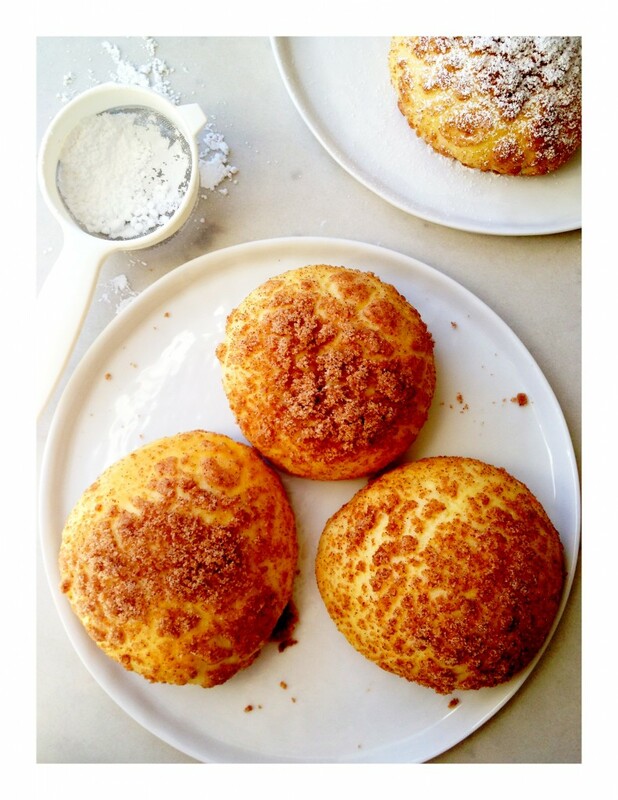 Pan Dulce Recipe — We were honored to have well-known recipe developer and food editor to some of best and brightest chefs in the world share exclusively with LatinoFoodie readers her pan dulce recipe. 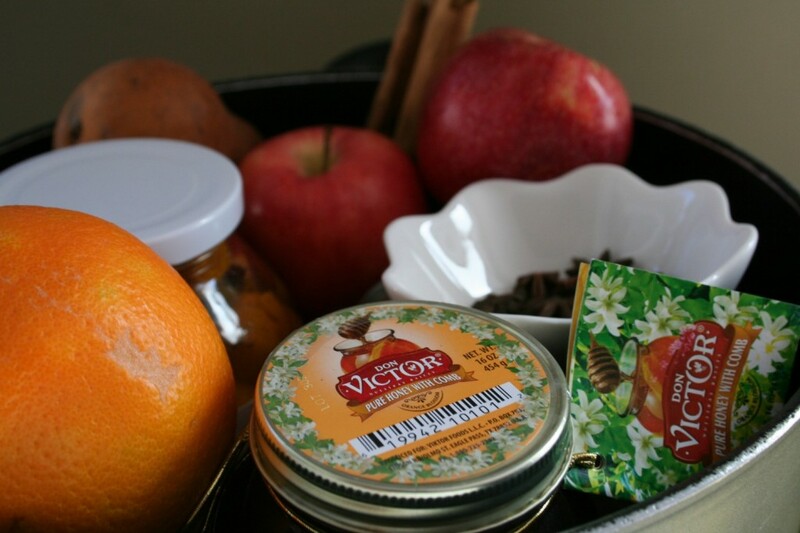 Ponche Navideño — Here is run-down of the ingredients for your ponche kit: tejocotes, guavas, apples, oranges, firm pears, piloncillo, cinnamon sticks, star anise, cloves and honey. 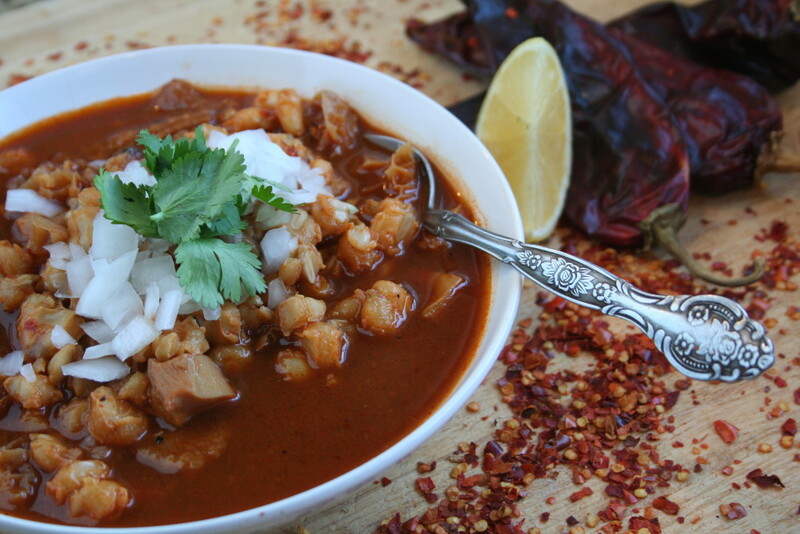 Menudo Rojo — A traditional Mexican dish, menudo rojo is a spicy soup made with beef tripe. 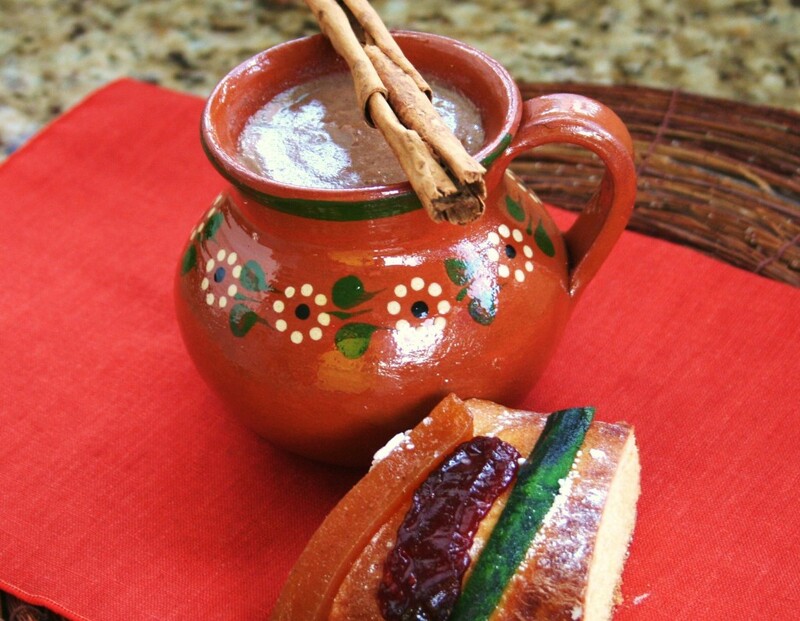 Champurrado – Nothing screams out warm tender care during the holidays than a piping hot cup of chocolate champurrado, thickened with corn masa. Since Las Posadas is a story about a young family depending on the kindness of strangers, the holiday for me this year seems especially poignant as I watch and read about Middle rn refugees from Syria fleeing to seek shelter for their families. I find it a little ironic people want to turn them away. More than ever, I feel it is important to share in the love, giving and true spirit of the holiday. In Puerto Rico, Christmas celebrations usually begin December 10 – and last until the Epiphany (Día de los Reyes Magos) on January 6 – with Parrandas (parties) hosted at different locations each night for generous helpings of Christmas Coquito (a delicious variation of eggnog made with coconut milk) and festive platters of pasteles (savory meat pastries). Christmas in El Salvador is celebrated by the entire family attending mass together on Christmas Eve and returning home to a grand feast. Pavo, or roasted turkey, is a popular Christmas meal in El Salvador. Salvadoran immigrants in the U.S. often serve it for Thanksgiving as well. The Salvadoran version of roast turkey has a variety of vegetables and spices that are roasted along with the turkey. This tasty mixture is then pureed and served as a rich sauce to accompany the turkey. Cold leftover slices of turkey with a little sauce are served in sandwiches called Pavo con Pan. According to our friend Aimee Duenas, whose family is from El Salvador, other popular Christmas dishes include tamales wrapped in banana leaves, hot chocolate and horchata which is a mixture of milk, pumpkin seeds, and cocoa beans. “As the families wait for the arrival of Baby Jesus, children play with fireworks and the sight of sparklers lighting up the night create a delightful scene. Singing and dancing are also a big part of the celebration. The Nativity Scene is very important to some families and it is a tradition in itself. Some may even get together to prepare it as a family project,” Aimee said. “Celebrating is far from over after this. This is the time dedicated to friends who gather to continue the party. People go to private parties or to clubs, and pack the local beaches since it is tropical and warm to see day break.